learned that he gave away the Cocker Spaniel he was given as a gift. 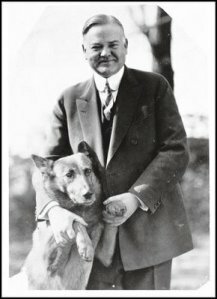 Guess the president who said, "If you want a friend in Washington, get a dog," didn't want a friend after all. home, but he must have had a dozen of them before he died of old age. ponies, a canary, parakeets, and even a rabbit name Zsa Zsa. lion cubs, a wallaby... even a pygmy hippo! have made it to greatness! 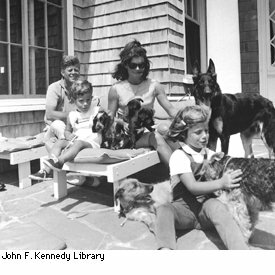 Do check out at least the website which introduces each of the U.S. presidents, their pets, and some great original photos!